Well, this is an odd one. Apple has added notes to its website warning that some car owners with keyless entry devices may have trouble unlocking their vehicle if there’s a nearby second-generation Apple Pencil charging on an iPad Pro. 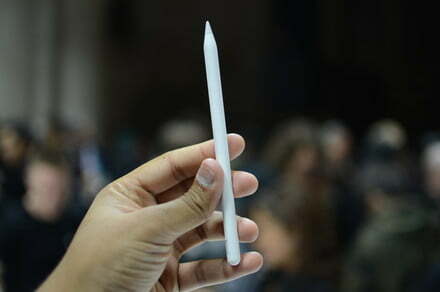 The new Apple Pencil launched toward the end of 2018 and is compatible with the updated iPad Pro, which arrived at the same time. Magnets on the Apple Pencil enable it to snap onto the side of the new iPad Pro, which is where it sits to charge. But for some reason, it appears to be causing interference with a number of key fobs, though, as Apple points out, the interference only occurs when the Pencil is actively charging and ceases once it has become fully charged. If the issue occurs, Apple suggests moving the iPad and Pencil away from the key fob, or removing the Pencil from the iPad and storing it separately. It’s not clear how many people have experienced the issue, or if Apple is working on a fix. We’ve reached out to the company and will update if we hear back. It’s not clear what kind of distance Apple is talking about when it says “nearby,” but the fact that it’s added the information to its website suggests there are people out there who have been experiencing the issue. The problem certainly has the potential to be highly disruptive for anyone who’s been unable to get their key fob to work, unaware that it’s the Apple Pencil in their bag that’s causing the trouble. With that in mind, the company would do well to better publicize the issue.